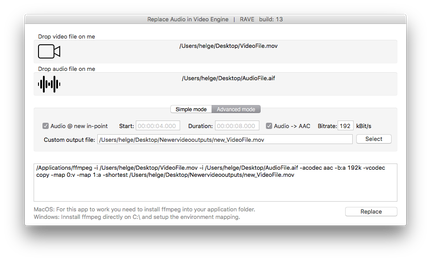 A easy tool for replacing audio in a video file. Two modes, simple and advanced. Att: You need to have FFmpeg installed on your computer for this tool to work. Now with masking of timecode. 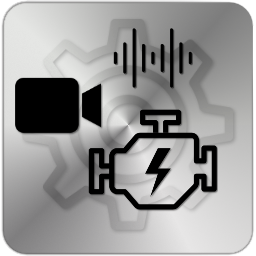 In advanced mode, you can specify start, duration, codec and bitrate. http://macappstore.org/ffmpeg/ for info about installing ffmpeg on mac.